What makes lifelong love possible? These are the questions Reel Love Video Challenge is asking in their first annual video contest, sponsored by The Ruth Institute, a project of the National Organization for Marriage Education Fund. – submit 30 second to 3 minute videos on the Reel Love Challenge website answering either or both of these questions: What makes lifelong love possible? Why is it worth the effort? – videos must be received by February 1, 2011. So now is your chance, you young twenty-somethings! The shaping of tomorrow’s culture on marriage is up to you. Have your say! For full contest details, go here. But you O Lord are among us, and your Holy Name is called upon by us; forsake us not O Lord our God. Guard us O Lord as the apple of your eye – beneath the shadow of your wings, protect us. 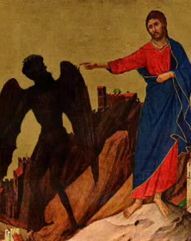 Antiphon: Save us Lord while we are awake, protect us while we are asleep, that we may watch with Christ and rest peacefully. With my own eyes I have seen the salvation, which you have prepared in the sight of every people. A light to reveal you to the nations, and the glory of your people, Israel. The Lord be with you – and also with you. and drive far from it all the snares of the enemy. Grant this through our Lord Jesus Christ, your Son, who lives and reigns with you and the Holy Spirit; one God for ever and ever. Amen. Let us bless the Lord – thanks be to God. May the Almighty and Merciful God; ┼ the Father, the Son & the Holy Spirit, bless and preserve you. And our absent brethren. Amen. Life, sweetness, and hope of ours, hail. To thee we cry, exiles, children of Eve. those thy merciful eyes to us turn. What a vision to behold…to imagine…the Saints, the holy ones of heaven! And today, that is exactly what the liturgy concentrates on; To recall the great gift we have in the many luminous examples of the Christian Life that have gone before us to share in the heavenly reward with Christ. It is often argued, no one knows for sure who is in heaven and who is not. In her wisdom, the Church has put forth good examples from every walk of life of holy men and women, so to inspire the faithful towards holiness. I mention only a few who have been beacons of light in my life. Deep union with the Lord in her suffering. Loving her parents who didn’t want her. I propose her to be patroness of the unborn. Gave her life for the birth of her child. I propose her to be patroness of expectant mothers. 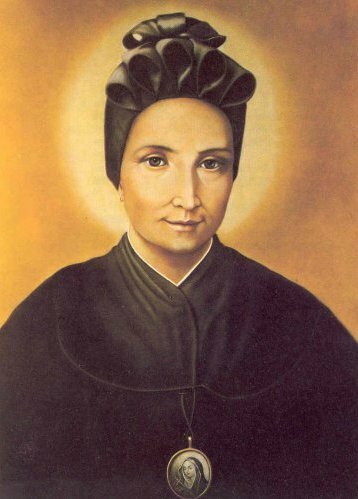 Canossian Daughter of Charity known for forgiveness. When we are persecuted, let us learn forgiveness. Let us learn from her zeal for our Lord in His passion. Patron of those struggling with vices. May all the Saints of heaven, pray for us. Omnium Sanctorum, Orate pro nobis. St Maximilian Kolbe, Pray for Us! St Anthony of Padua, Pray for Us! St Pio of Petricina, Pray for Us! St Thomas More, Pray for Us! St Philip Howard, Pray for Us! St Edmund Campion, Pray for Us! Ven Elizabeth Lesseur, Pray for Us! Ven Pierre Toussaint, Pray for Us! St Bernadette Soubirous, Pray for Us! St Brother André, Pray for Us! Gardenia shares a way of honoring the Saints, making stained glass candles at My Little Flower. Charlotte made a St Bakhita costume for her daughter at Waltzing Matilda. The Anchoress shares some beautiful pictures of Saint statues from St Peter’s Basilica – Rome, and the difficult reality of the Christian Life – Syrian Catholics killed yesterday in Baghdad during Mass. Colleen Hammond reminds us of how our prayers during the month of November can obtain indulgences for the faithful departed souls (November 2nd is the Feast of All Souls). 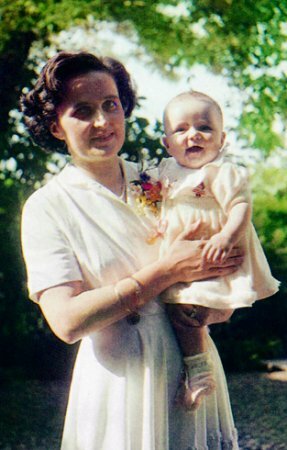 If you’re interested in knowing where to add your favorite Saint in the Litany of Saints, Adoremus has a post on that. What does one say to a couple who has just heard that their seventeen year old daughter had a rare and painful form of bone cancer? Test after test, they tried to find a way to beat it, and their hearts sank more with the results of each treatment. I have dear friends who have lost their children to disease, and even after many years the pain is just as raw. A father told me once, conveying the loss of his son, “I don’t know how non-believers live through it. The only thing that makes me get up in the morning and go on is knowing I will see my son again.” There is the sorrow of journeying with a loved one who is suffering. And oh, how very much we need examples in our society to remind us that our suffering is not in vain. To know more about this beautiful soul of Chiara ‘ Luce’ Badano, here’s the website.